1. Download the JDBC Driver. Goto Cloudera website, download Hive JDBC Driver at http://www.cloudera.com/content/cloudera/en/downloads/connectors/hive/jdbc/hive-jdbc-v2-5-4.html. As for now, the latest version of Hive JDBC Connector is v2.5.4. Unzip the zip file to your target directory. 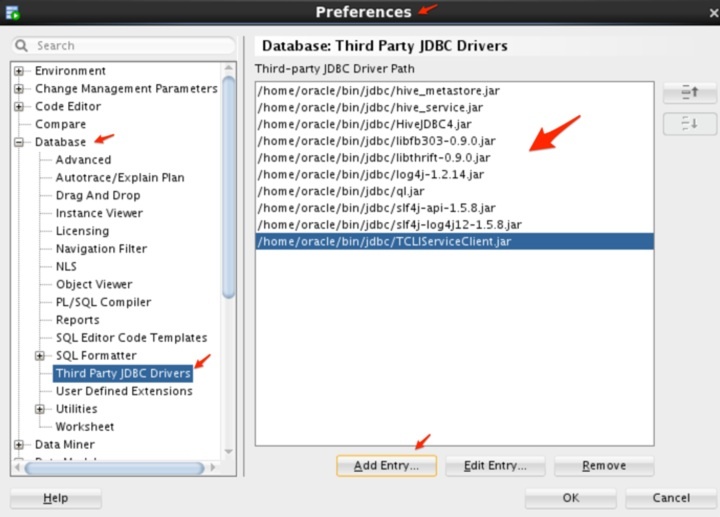 Open SQL Developer, click Preference -> Database -> Third Party JDBC Driver. Click Add Entry to add all of the jar files just unzipped. Close the SQL Developer, reopen it. Create a new connection. The port used is HiveSever2 port or the value for hive.server2.thrift.port. In my cluster, it is 10000. 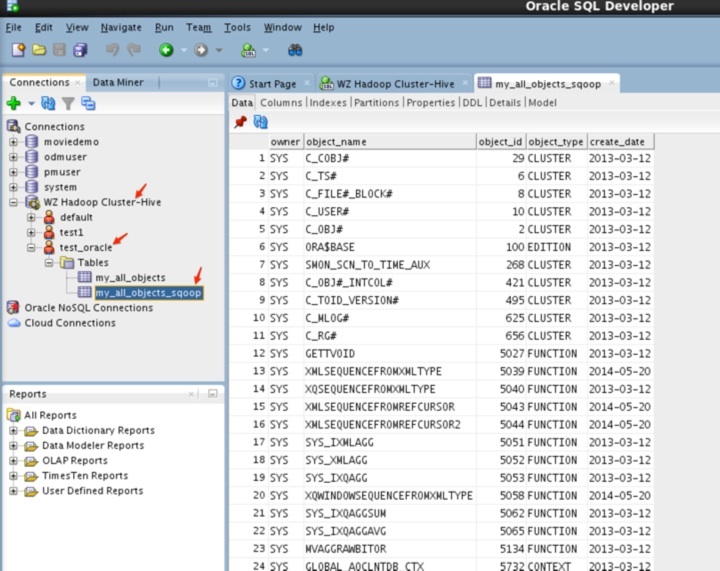 I still use test_oracle hive database created in my previous steps. Click Test, it should show Success. 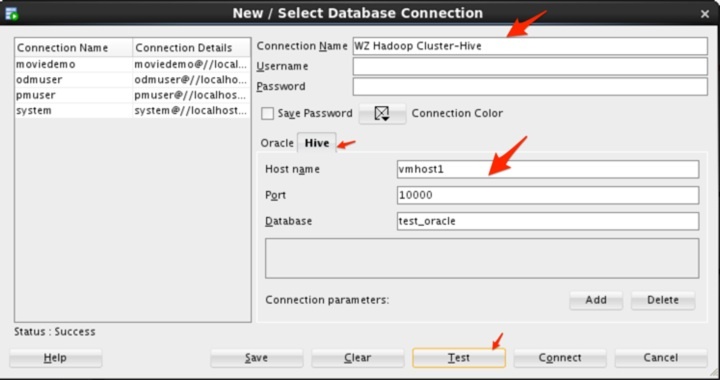 After click Connect, I can connect to my Hive databases on my Hadoop cluster. 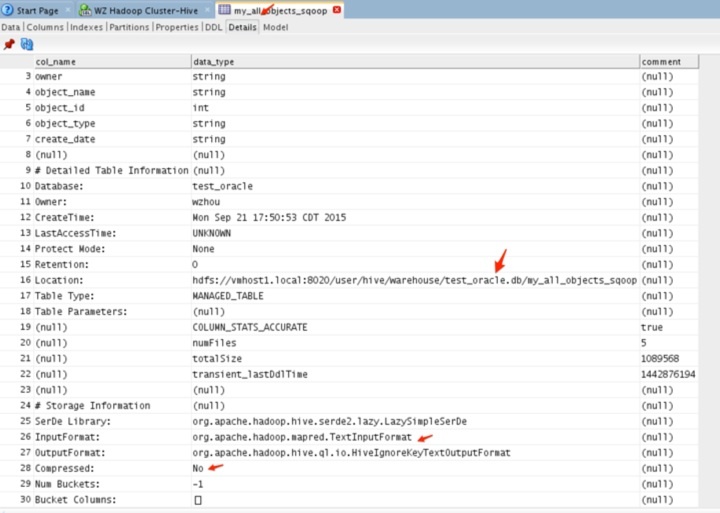 You can see the view and look to access Hive is very similar the way accessing regular oracle table. Awesome! Here are a few more other screens. The DDL tab is nice one. The drawback for DDL is that everything is in one line. It would be nice to format the DDL string in a more readable way. Anyway, it is not a big deal. 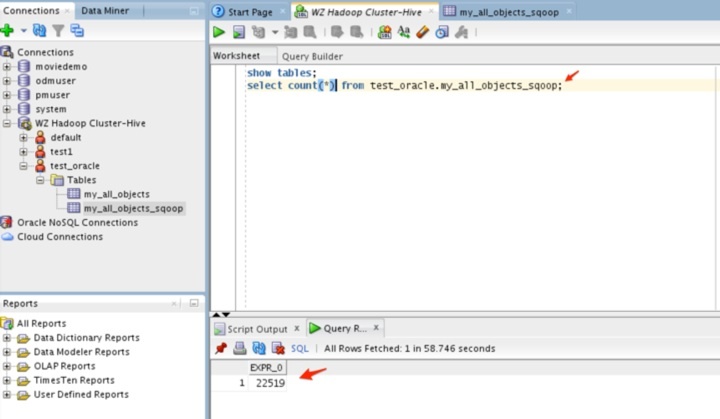 Let me run a query and here is the result, exact the look and feel like I use Oracle.